Everyone knows that people in Hollywood make a metric ton of cash, but that doesn't mean we don't love hearing who made the most and how much. 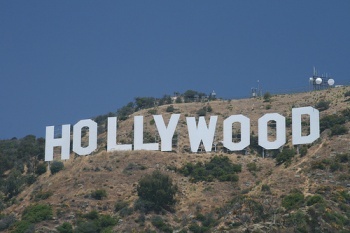 Vanity Fair released its list of the top 40 "creative" earners in the Hollywood film industry in 2010. The problem with such lists is that you quickly realize how much money people who are lucky enough to star in big franchises make. At least there are a fair number of film directors and producers who earned their salaries and bonuses the hard way: by being the driving force behind creating a piece of art. On the other hand there are people like Taylor Lautner and Kristen Stewart whose only claim to fame is starring in those movies about sparkly vampires. James Cameron certainly earned his $257 million by producing and directing the Avatar craze, and most of that cash was made by how much that movie made at the box office in 2010. Johnny Depp was the only other figure in Hollywood to reportedly earn seven figures by grossing $100 million for starring in Alice in Wonderland, the upcoming Pirates of the Caribbean: On Stranger Tides and that movie with Angelina Jolie. I guess I'm just bitter that Lautner somehow grossed $33.5 million for those silly Twilight movies.